A range or cooktop is the center of any kitchen here in Arizona. When your range isn't working, meal options quickly become limited and tempers can run short. Although the basic design of a range or cooktop seems simple, still, there's plenty that can go wrong with these useful appliances. Whether it's fired by gas or electricity, when your range or cooktop malfunctions it's best to have it fixed by our professional service technicians here at Arizona Appliance Repair. That's because these appliances contain a variety of sophisticated parts whose repairs are best left to pros with plenty of experience. Still, before calling us, here are a couple of basic steps you can take to make sure there's truly a problem to be fixed. First, as with any appliance, check to make sure that the electrical connection is secure, and verify that the circuit breaker isn't tripped or the fuse isn't blown. And, if your range or cooktop relies on gas, you'll also want to make sure that the gas valve hasn't become closed. 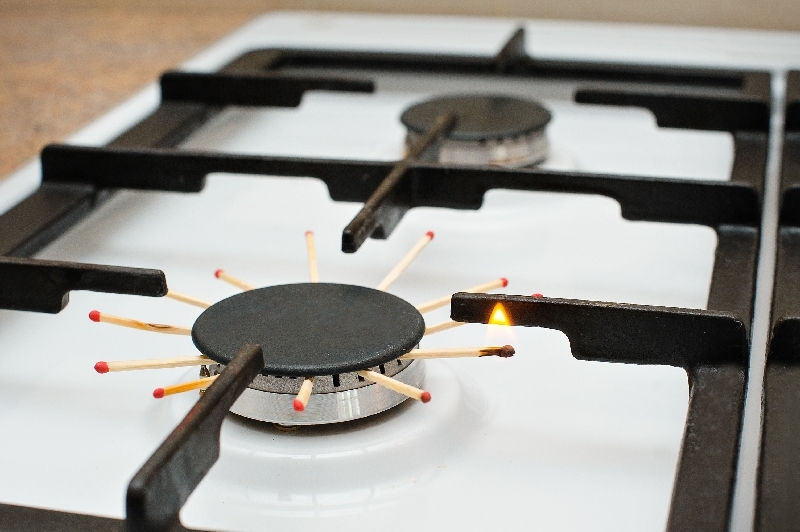 Often, if a burner won't light it's because the holes are dirty or clogged. If you see an obvious obstruction, you can clear it. Yet, if there's no obvious cause for a burner's failure to light, then for safety reasons you should leave the issue to be solved by a professional such as our technician. Ranges and cooktops have many other fairly complex components, including spark igniters, bake igniters, broil igniters, spark switches, thermostats, selector switches, and gas solenoid valves. Troubleshooting and repairing these parts is best left to our skilled, experienced technicians. We have the specialized tools and expertise to fix any kind of range or cooktop. And, our technicians carry all the tools and common replacement parts needed to fix your appliance the first time we visit. AZ Appliance Repair has multiple dispatch centers in Tucson and the surrounding areas. We pride ourselves on providing same day service.... If you call us today, we can fix it today.